As employers become more sophisticated in their use of HR metrics, they need to ensure they are aware of the ethical and legal implications involved in the use of employee data, the authors of a new book on predictive HR analytics have warned. The book cites the case of a global financial institution which issued ID cards to staff enabling them to use non-work facilities, including the canteen and gym. So detailed was the data collected, that the organisation was able to model the ideal profile of meals, lunchtime exercise patterns and even specific gym equipment associated with high performance by call-centre staff in the afternoon. 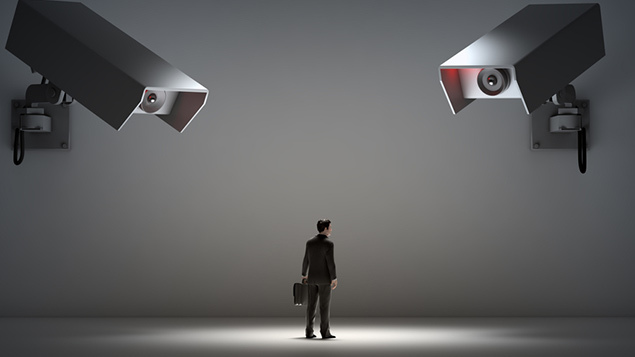 Such an approach may be useful in helping to identify the profile of high performers, “but the Big Brother or surveillance implication of this kind of analysis are really quite profound”, argue the authors. They also point out that profiling top performers may lead to legal concerns depending on what actions are taken, citing the example of a data analysis which reveals that women in a particular age group are the best performers on supermarket checkouts. “One response would be to introduce a policy of only hiring women between the ages of 30 and 35 to work on the checkouts. The book, Predictive HR Analytics: Mastering the HR Metric, by Martin R Edwards and Kirsten Edwards (Kogan Page), aims to fill the need for “a straightforward how-to guide book to help people carry out some basic statistical analysis on the data available in organisations”. Personnel Today readers can receive a 20% discount on Predictive HR Analytics: Mastering the HR Metric and free P&P by entering the promo code HRXPERT. It works its way through analysis strategies and a series of case studies on diversity analytics, employee attitude surveys, predicting labour turnover and employee performance and other areas before moving on to scenario modelling for business applications and more advanced techniques. Predictive Analytics is likely to be a valuable addition to the bookshelf of HR analysts and those with a firm grasp of statistics and statistical techniques, but it is far from being a beginner’s guide for the average HR professional. Mark Crail is content director of XpertHR. He leads the salary survey and HR data benchmarking services, overseeing the collection and publication of pay data through the Job Pricing tool and our wider HR research programme which forms the core of XpertHR Benchmarking.